Microsoft’s ID@Xbox program has done a great job of supplying the Xbox One with a healthy stream of games to compliment the larger releases, especially during quieter times. The developers that are benefiting from this program have, in turn, churned out games spanning a wide number of genres, while exploring new ideas in the meantime. As has been apparent many times so far, the games released through the program are capable of being much more than simply filler to pass the time until the next big release. 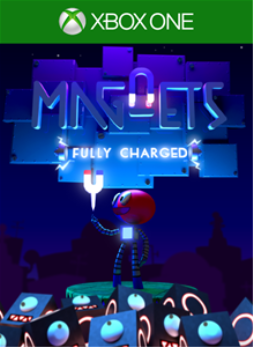 MagNets: Fully Charged is not one of those games, however, as its bland and repetitive gameplay makes it fairly forgettable after completing. 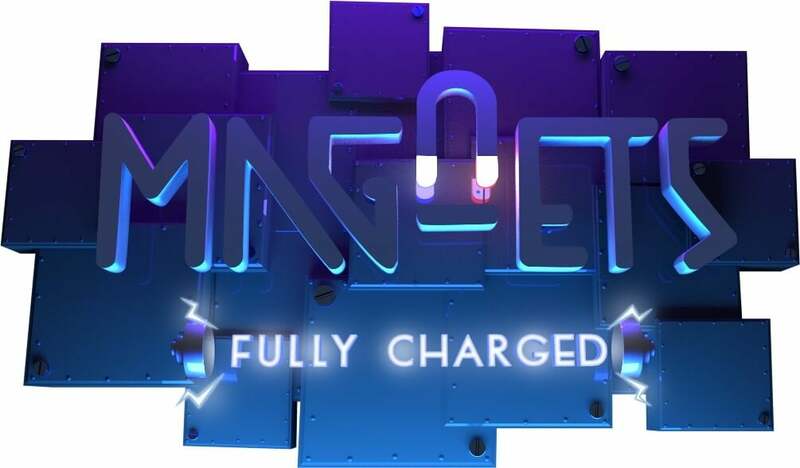 MagNets: Fully Charged is an action-adventure game featuring a robotic protagonist named Park Ranger Faraday, who is searching for the “precious” MagNetPets. To make matters worse, the various Bloxbots have started destroying everything for an unknown reason. Therefore, it’s Faraday’s job to find the MagNetPets and save the day, or at least that’s what the unnamed green computer program that only goes by “Sir” tells him. Across the game’s twenty levels spanning four different zones, the story doesn’t evolve much past this opening narrative. By the end, there’s no real pump your fist in the air and cheer moment and, frankly, I’m not even sure it was made clear that the goal of finding and saving the MagNetPets was accomplished. The gameplay revolves around destroying the Bloxbots with a magnetic field that Faraday drags behind him. The field is created with a press and hold of the right or left trigger, and any Bloxbot inside of the radius when the trigger is released has a hit registered against it. The amount of hits to destroy a bot varies, but the end goal is always to acquire pieces of scrap to deposit into the Recycler. Each level’s Recycler requires a certain amount of scrap before awarding Faraday with an item that’s vital to the success of the objective. This is essentially the blueprint to every level in the game. To MagNet’s credit, there’s a decent variance of objectives from level to level. Sometimes you’ll have to survive and escape an area, while in other instances you have to defend a number of objects from the attacking Bloxbots. The last level of every zone is also capped off with boss battles that provide a decent challenge. Even so, all of this is essentially undermined by the fact that the Recycler is constantly a necessity no matter what the goal. Instead of moving away from repetitive tendencies, this reliance forces on that feeling even more. For some reason the Recycler also takes every bit of scrap that you have, even if it’s more than what’s required. This means having to deal with fighting the Bloxbots for far longer than should be necessary. While the magnetic field is the core mechanic of MagNets’ gameplay, it’s also very finicky to use. Activating the field while standing still seems to generally work fine, but trying to use it while on the move often creates an awkward delay, causing a lot of missed opportunities. Staying in one place for too long creates an opening for being surrounded by the Bloxbots, so constantly moving is often a necessity. Obviously one could see how that can then be problematic. The fixed camera position also led to a number of issues on its own. Because it’s so focused on Faraday’s position, it’s often difficult to spot how many enemies are around, or from which direction they're coming. Taking damage from not even being able to see danger coming, or in some cases even dying, was very frustrating. Visually, the game looks dull and dated. There’s a cartoonish, minimalist look to everything, but overall it seems reminiscent of something that would have come out on a last generation console or perhaps even further back. Aside from testing the different difficulties and completing the same cut and paste challenges, there isn’t much of a reason to return to MagNets for more once the game is complete. A handful of unlockable characters offer different ability stats, but none of them change the game to any significant degree. The biggest positive of the game, to achievement hunters at least, is that the majority of the game’s achievements are very easy to unlock. There are seven achievements tied to recycling scrap, building up to King of Recycling for recycling 8,000 pieces. Besides that, there are achievements tied to using the game’s basic mechanics, destroying Bloxbots, and completing each zone of the game. The only achievement that could provide a bit of a challenge is to complete a zone without being hit. The reviewer spent three hours beating the game and another two testing other difficulties and hunting for achievements. Along the way, 23 of the game's 24 achievements were unlocked. A copy of the game was provided by the publisher for the purpose of this review.